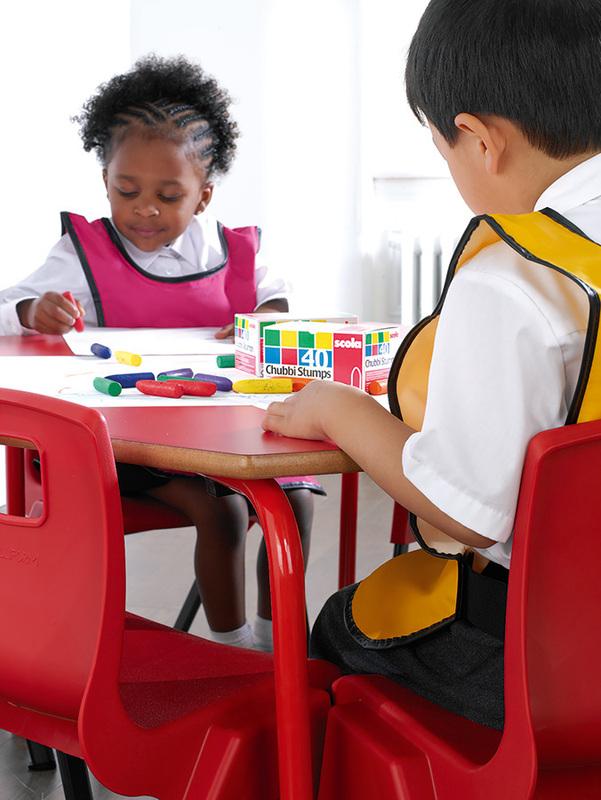 Standard trapezoidal nursery tables are ideal for schools, nurseries and pre-schools as they are supplied in packs of 3. 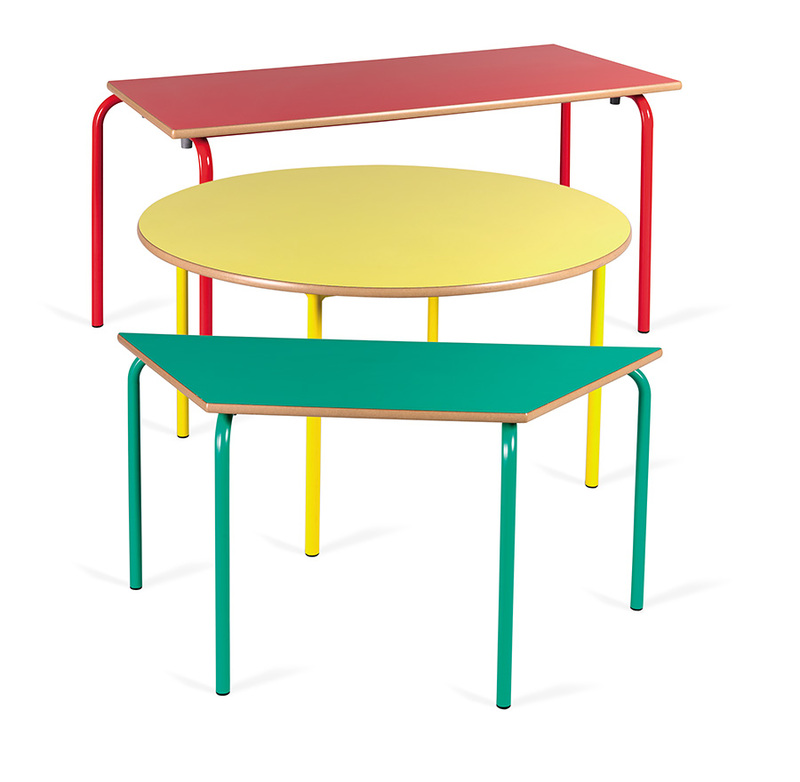 They feature a bright and attractive design which is available in 3 heights - suitable for ages 3-8 - making these tables ideal for early years' settings. 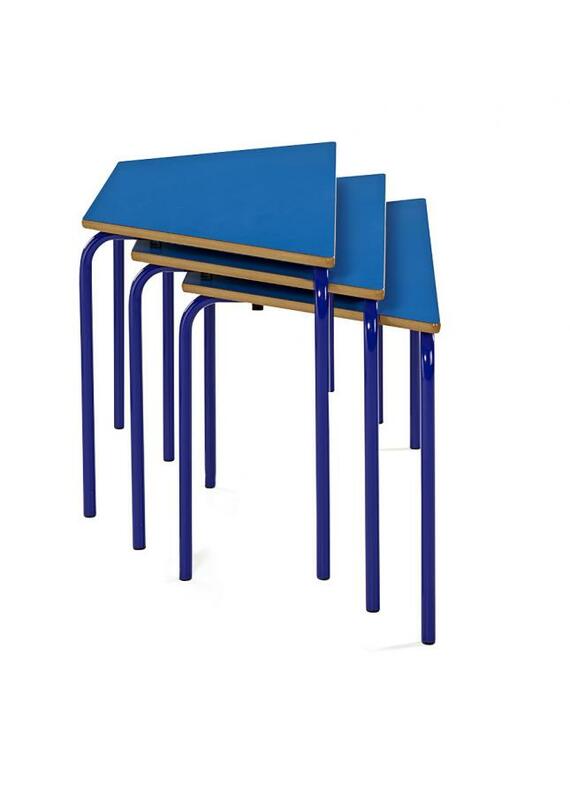 Each nursery table features a 25mm steel tubular frame, an 18mm table top with a polished and lacquered MDF bull-nose edge. 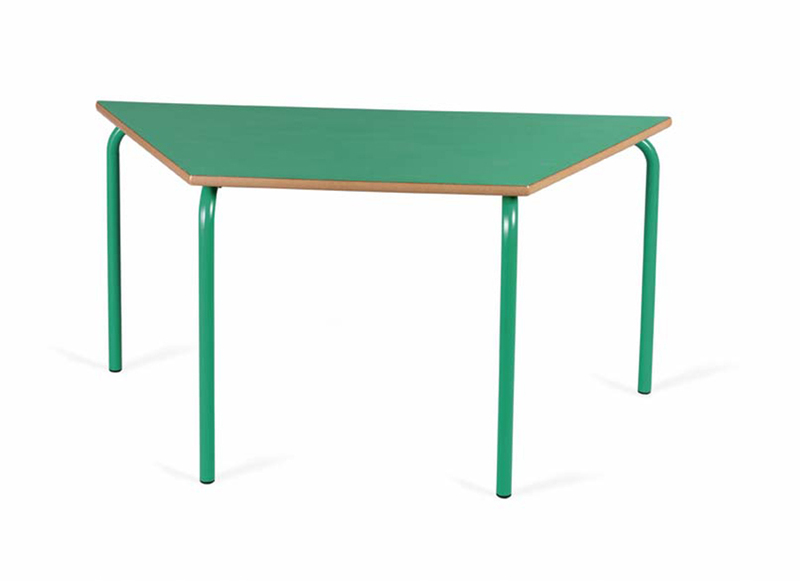 The table top and frame are colour co-ordinated and come in a choice of 7 colours. 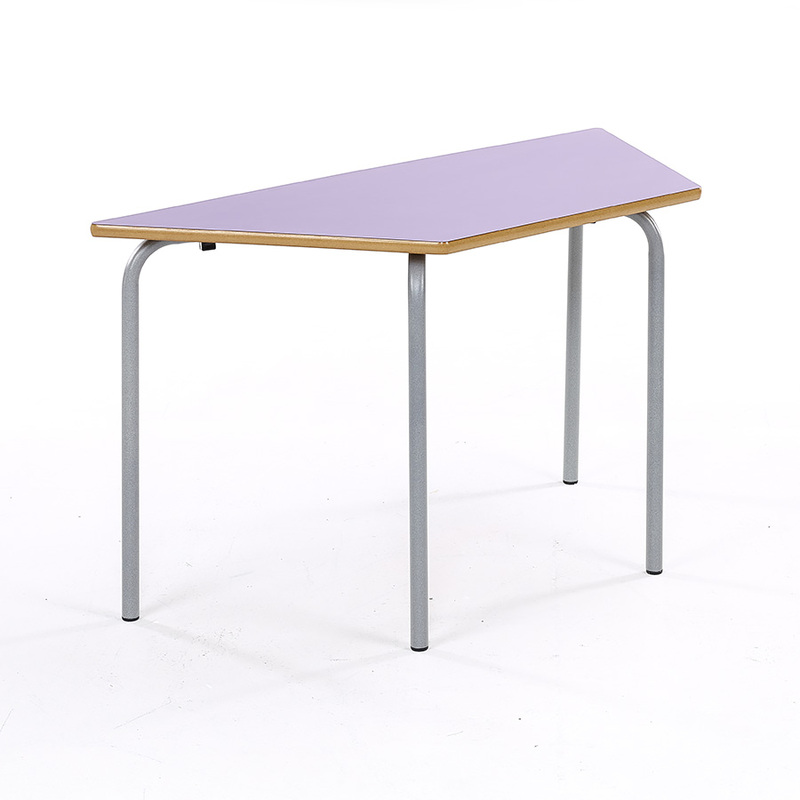 Supplied in packs of three, these tables have a 5 year warranty and are EN1729 compliant. Other standard nursery tables include Circular and Rectangular tables.